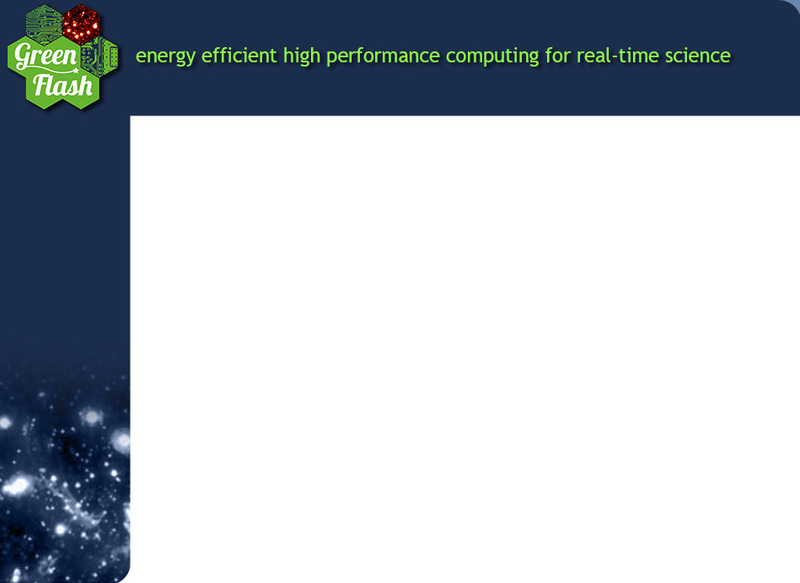 An alternative to the commodity accelerator solution for real-time control is to build tailored processor boards, based on high cell density FPGAs for instance, designed for the application and relying on custom data flow models. The great advantage of such approach is to provide full control over hardware and critical software (device driver) to ensure real-time and deterministic performance and to guarantee the support and availability of the solution over the system lifetime. However, this is usually done at the cost of an expensive and rather long development cycle (as compared to custom arithmetic designs) to produce specialized components with very few options for return on investment. 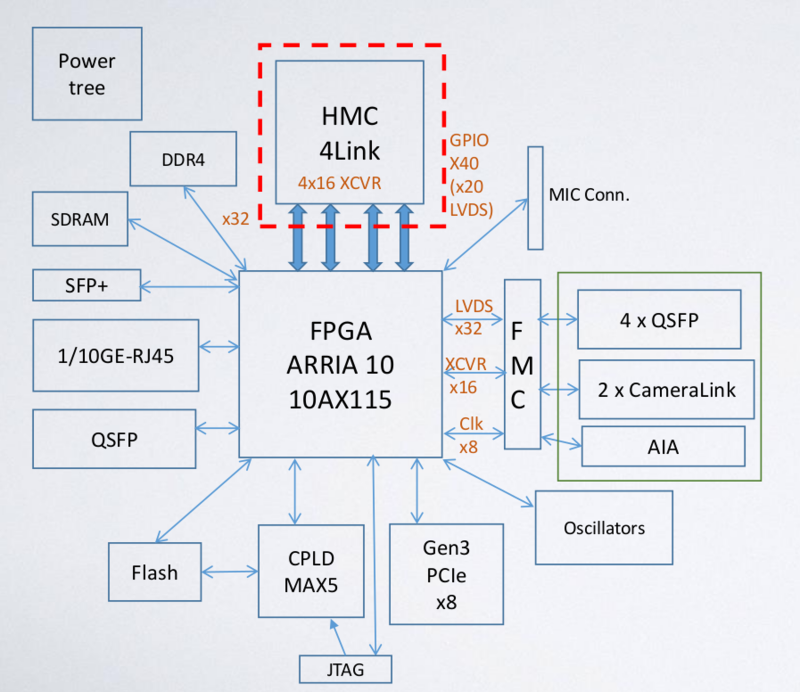 We believe that the emergence of new FPGA products, integrating an ARM-based Hard Processor System (HPS) with the FPGA fabric, could enable a new approach, merging the concept of compute node in a HPC cluster and specialized processor board in an application specific facility. 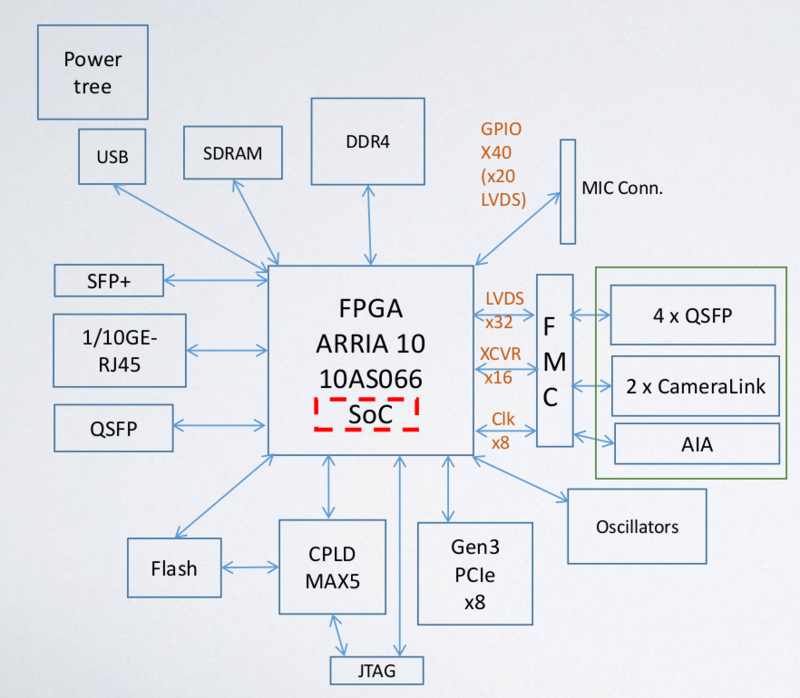 Coupled to a comprehensive user-oriented development framework, including FPGA development environment and support for mainstream HPC tools and compilers, this new class of system-on-chip (SoC) could provide an energy efficient platform for HPC with a potentially wide application range.